1. 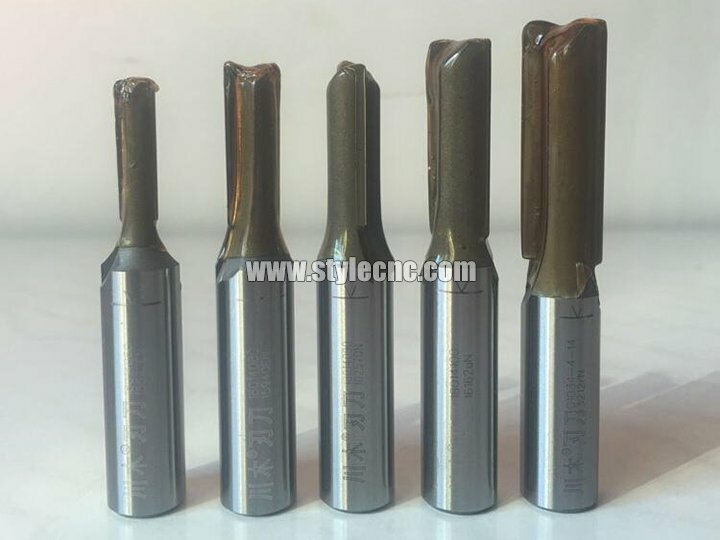 Made by micro carbide tipped, with long service life. 2. 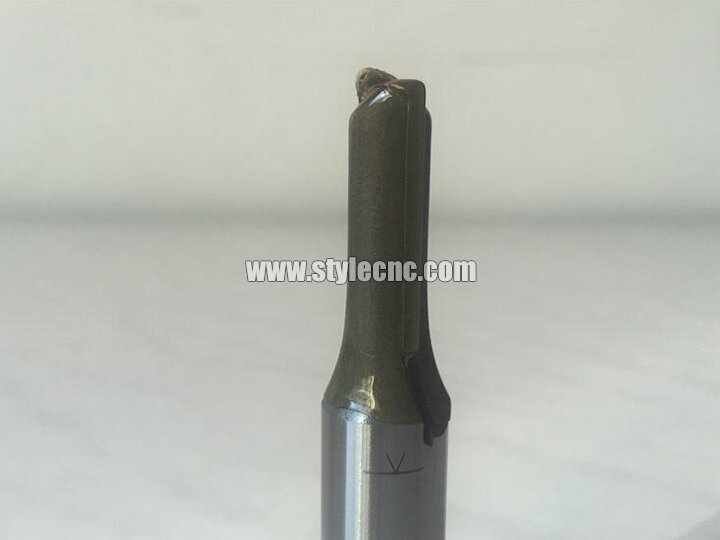 Professional technology, good quality, high precision. 3. A varity of styles and specifications are offered. 4. Stocks available for regular sizes. 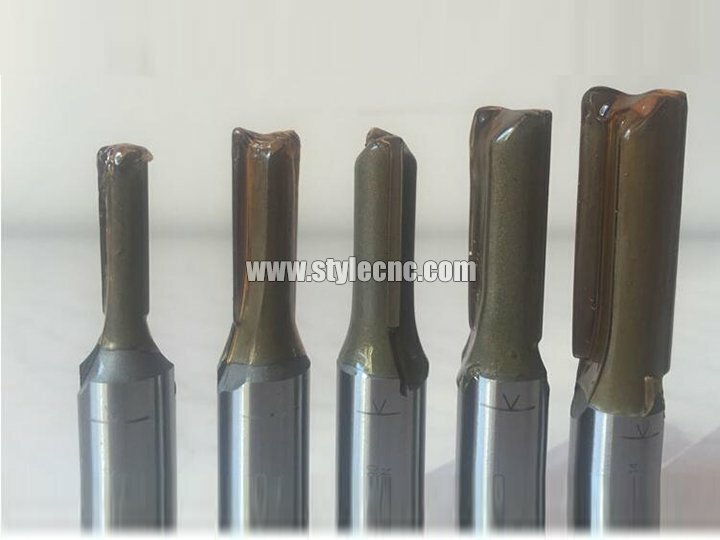 We have all kinds of CNC bits for different works, welcome to inquiry with your specific work. 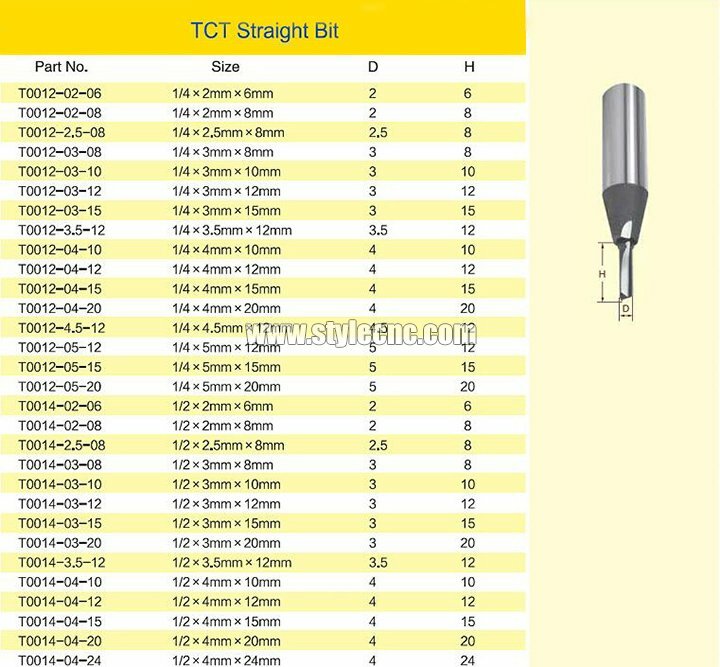 License: The text of "TCT Straight Flute CNC Bits for MDF and Wood Cutting" by STYLECNC is licensed under a Creative Commons Attribution 4.0 International License. I have bought some bits for cutting willow and oak sheet with the SI-IV for making furniture. The bits are very strong and it can work for 80 slice wood sheet.